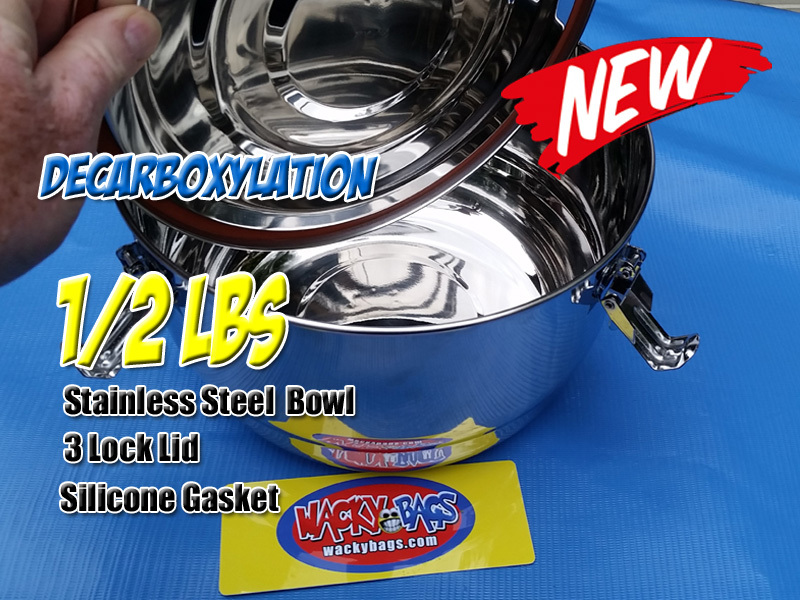 STORAGE CONTAINER | STAINLESS STEEL | DECARBOXYLATION Discounts Apply ! 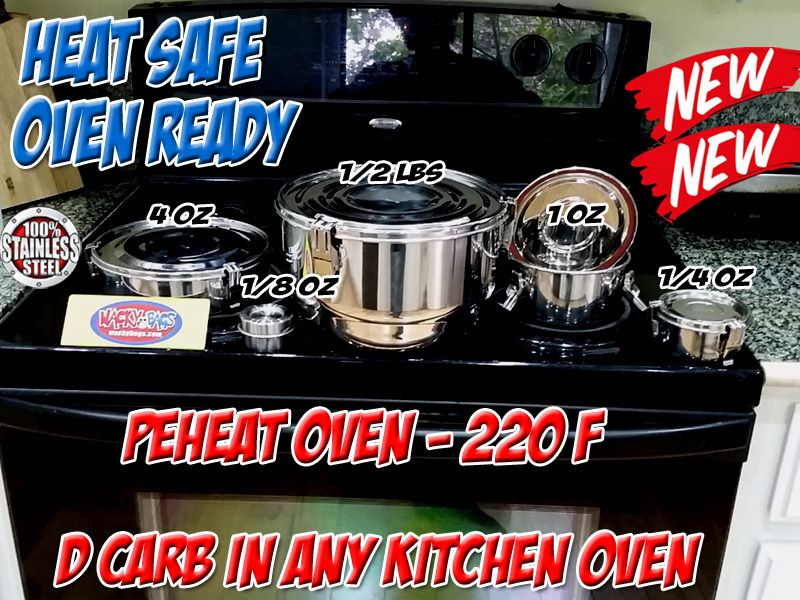 TTypical decarbing in the past has been done on a backing pan in the oven. unfortunately the turpine loss and potency reduction in this method honestly makes it not worth doing. 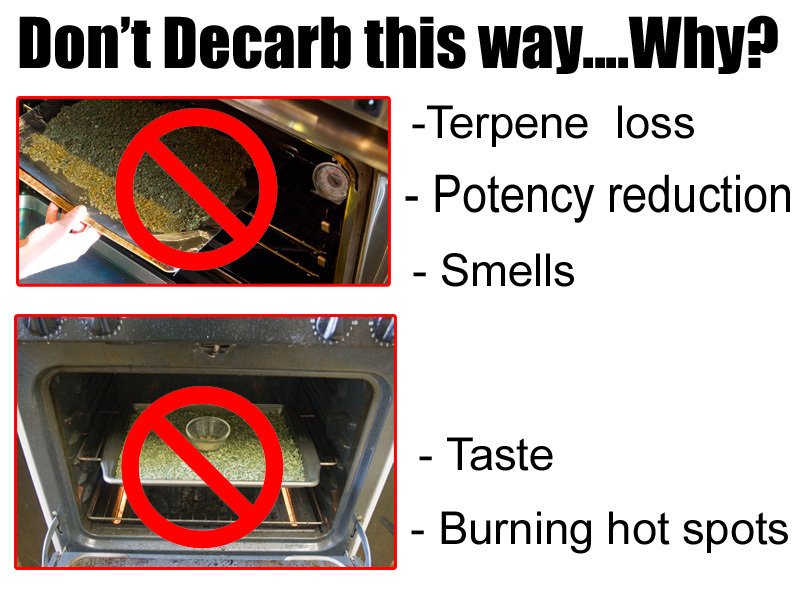 With our sealed decarboxilatores you loose nothing and the end result is a perfect 100% activated product. 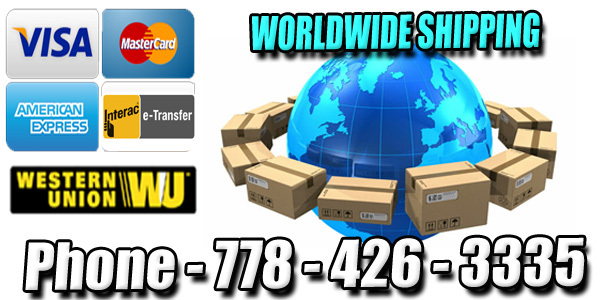 Our units are 100% stainless steel containers with a heat resistant silicone seal to prevent any urpine lose. Very sturdy construct with a 3 latch seal able stainless lid. 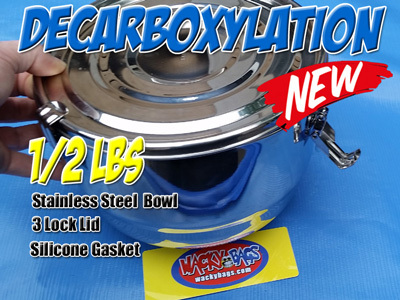 Designed specifically to be used in your oven at home or any oven you can set at a temperature between 120 C TO 160 C . The key is to have the temperature at about 120 C for approximately 90 minutes. Putting it in at a higher temp you should reduce your heating time accordingly for example @ 160 C for 45 minutes and so on. Shake up your container every 15 min and put back in oven when ready the flowers will darken slightly and will be crumbly when handled . under the lid if you are going to put in the oven! !